Selling a home is estimated to take on average between 2 and 3 months or between 60 and 90 days according to gov.uk. It can take longer depending on the number of sellers and buyers in a chain, and not all house sales are successful, some fall through – making the process even longer. 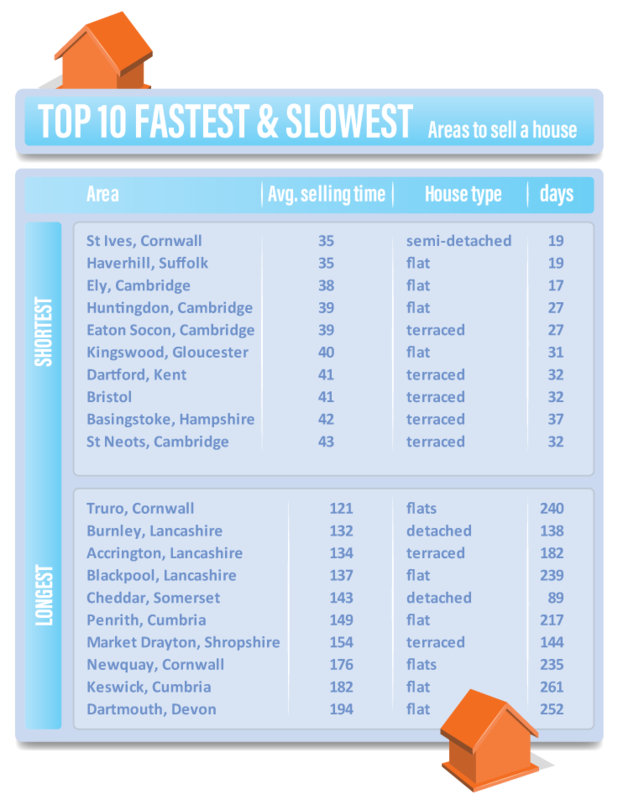 But where in England are the quickest and slowest areas to sell a home? 4 of the 10 areas in the top 10 are in Cambridge. Showing that Cambridge has become one of the most popular areas in the country for property. Cambridge has been growing its presence in recent years, and property here is highly sought after. Average asking prices here are just over half a million pounds, with selling prices for semi-detached and detached homes rising by over 10% in the last year. 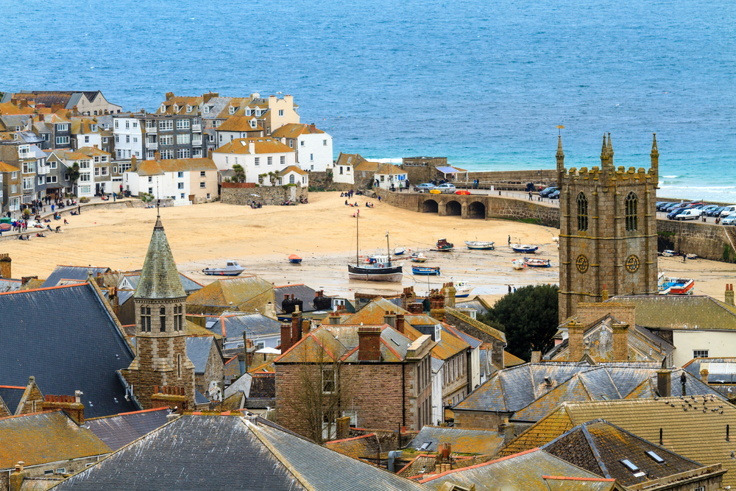 St Ives is a seaside town on the coast of West Cornwall that has grown in popularity as a tourist destination and as a second-home hotspot. With St Ives council estimating that 25% of residential properties being classed as second homes in 2011, which has increased two thirds in a decade. This means demand is high and supply is low, causing a surge in property values. No wonder houses only take 35 days on average to sell here, with semi-detached properties taking just 19 days to sell on average. The places in England that take the longest to sell your home come mostly from the North East and the South West of England. With the worst average house selling time taking 194 days in Dartmouth which is over 6 months. House sales take longer in these areas due to low demand and an oversupply. In 5 of the top 10 worst areas to get a quick house sale, the price bracket that took the longest was between £300,000 and £400,000, which is above average house value for these areas. The longest house selling type were flats in both Dartmouth and Keswick taking 252 and 261 days respectively. That’s over 8 months! 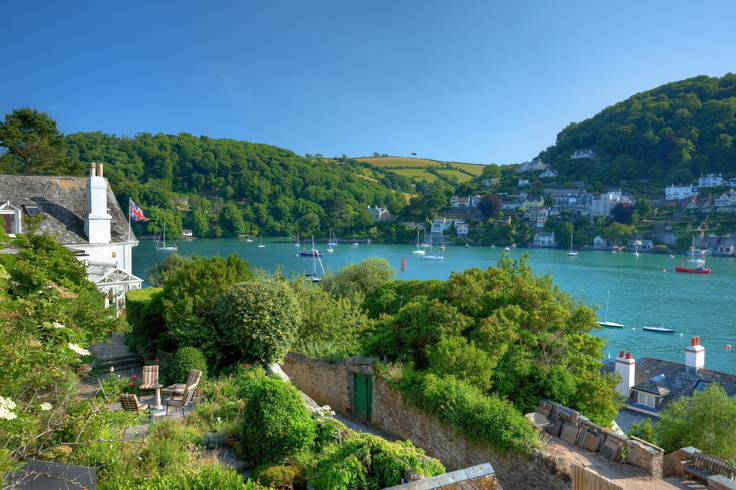 Dartmouth is a glorious place to live, and was considered one of the best places to live in England in 2014 by the Telegraph. So what’s changed? Well, nothing. Apart from soaring house prices. It is the desirability of Dartmouth as a destination which you would think would make it a hot property area. However, it seems people are simply unable to afford the high asking prices commanded from this Devonshire gem. The average asking price here is £502,281, with detached properties fetching north of £670,000. House prices here spike in comparison to nearby areas such as Paignton at £195,359 and Brixham at £211,689 average house price. So it seems people simply aren’t willing to pay the astronomical price tags being asked in one of the nicest places to relocate to in the country.